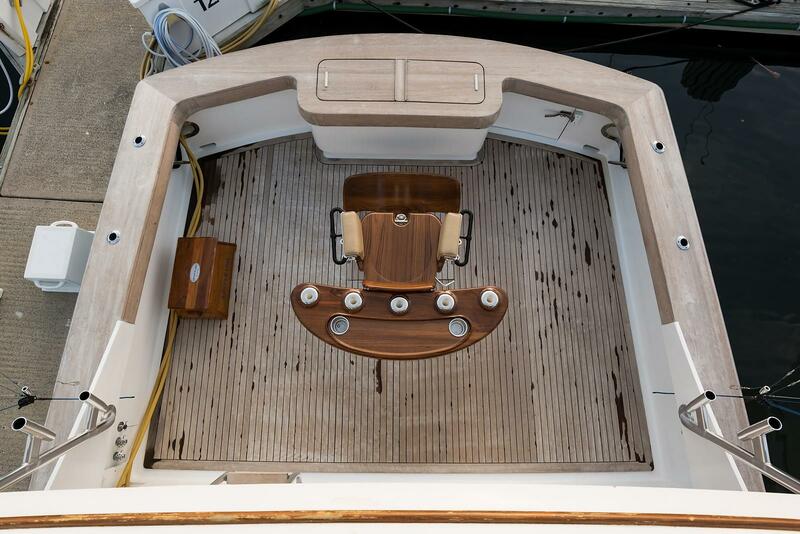 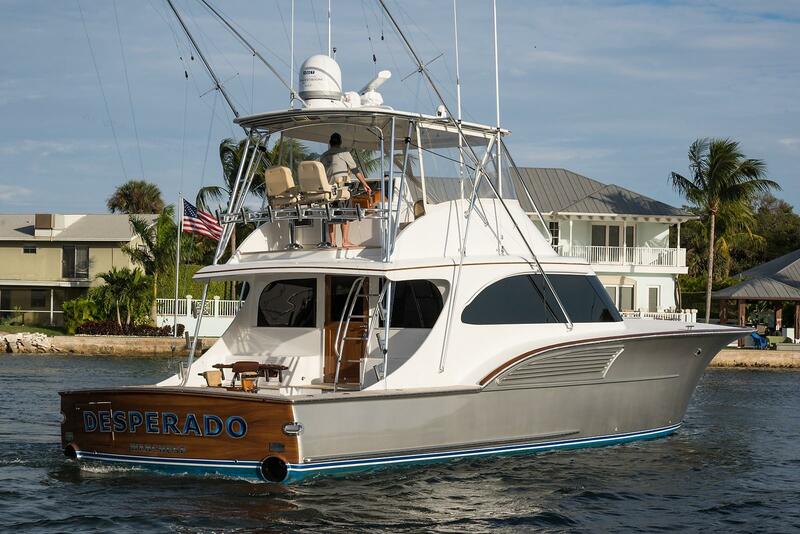 2005 B&D 60' Custom Carolina Convertible "DESPERADO"
This 60 B&D BOATWORKS, BUDDY DAVIS CONVERTIBLE is outstanding!! 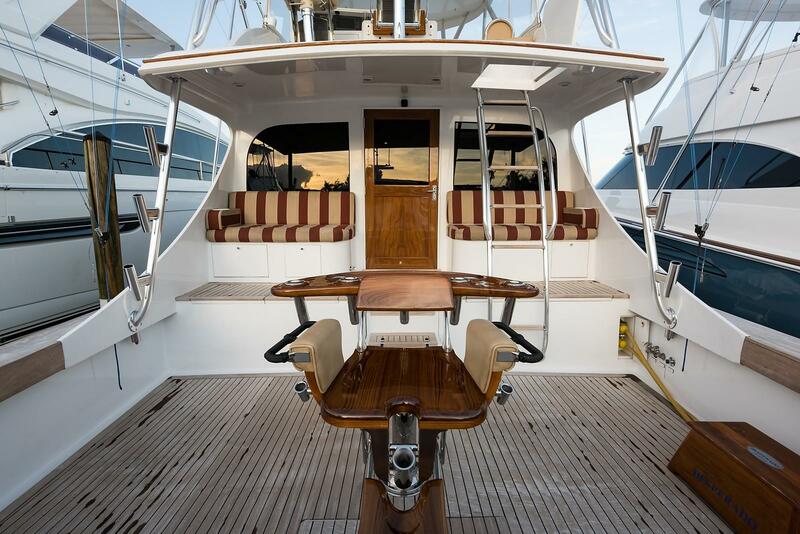 Top to bottom, with every well thought-out option. 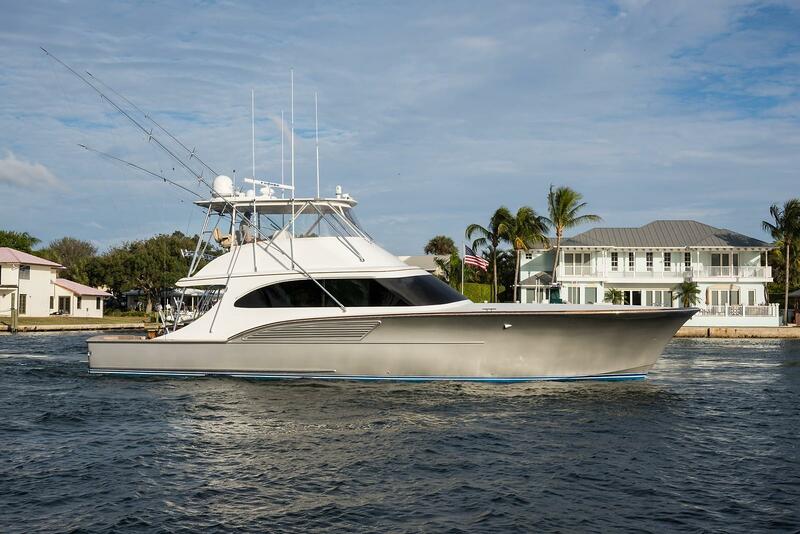 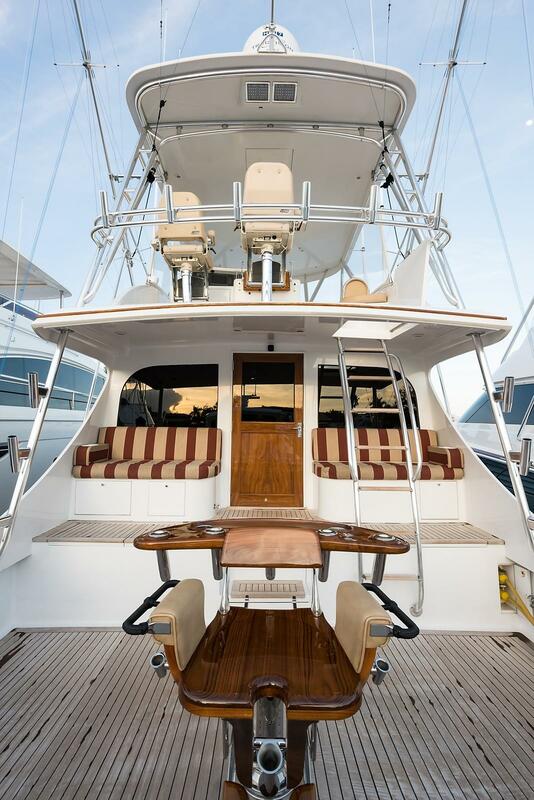 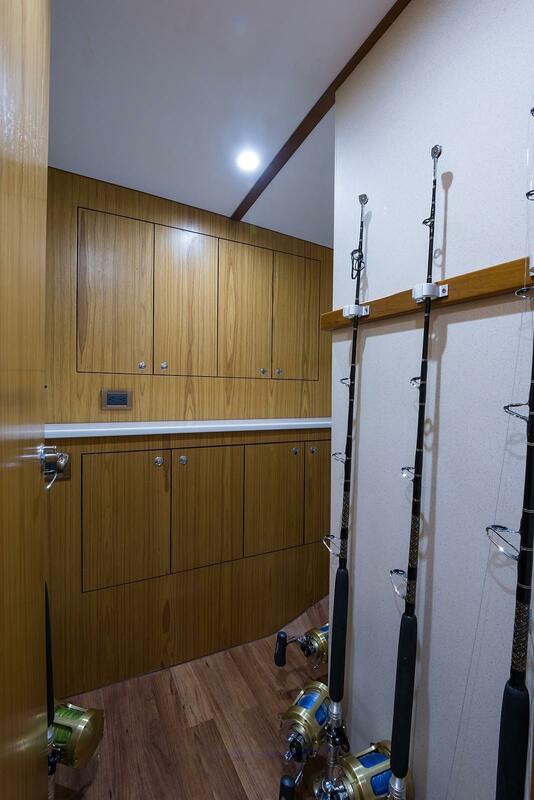 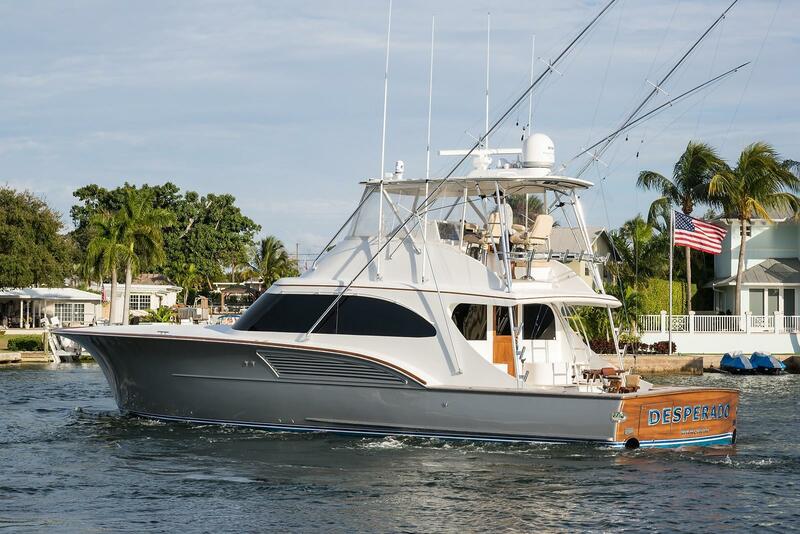 With all services up-to-date on this well-equipped sport fisherman is ship shape and turnkey! 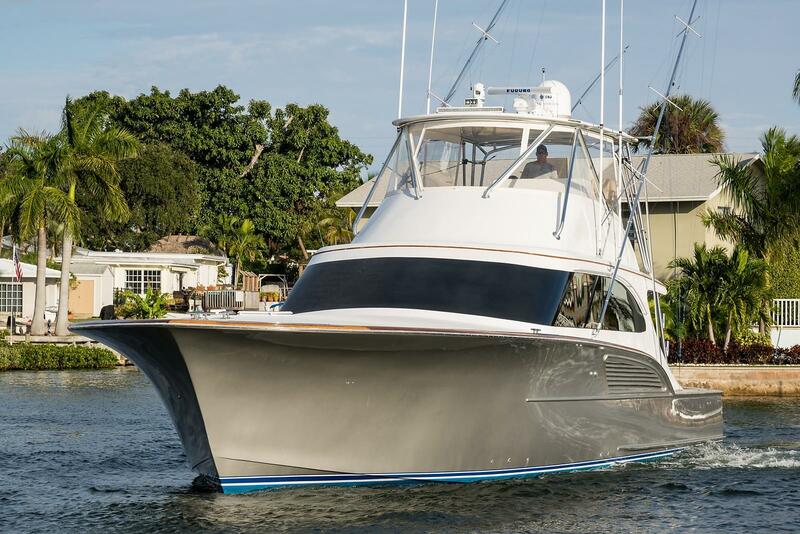 Whether it be Fishing, cruising, or diving, you can take this 60 B&S BUDDY DAVIS CONVERTIBLE in comfort and style. 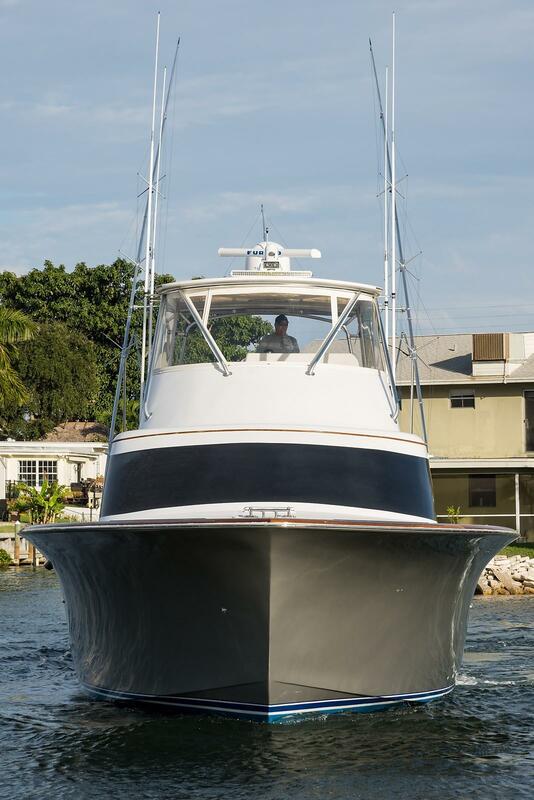 Her C32 CAT diesels make her fast, and her sea keeping ability is legendary! 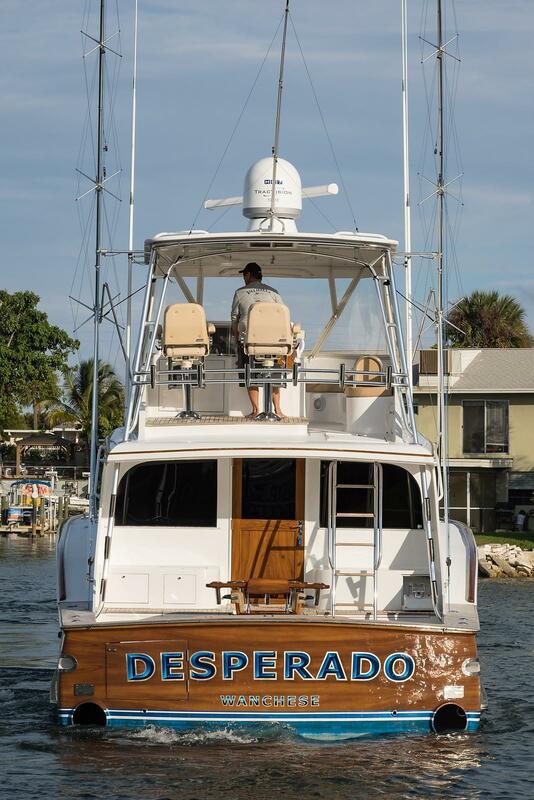 If you are in the market for a spectacular sport fisherman that will stand out, you owe it to yourself to take a look at DESPERADO. 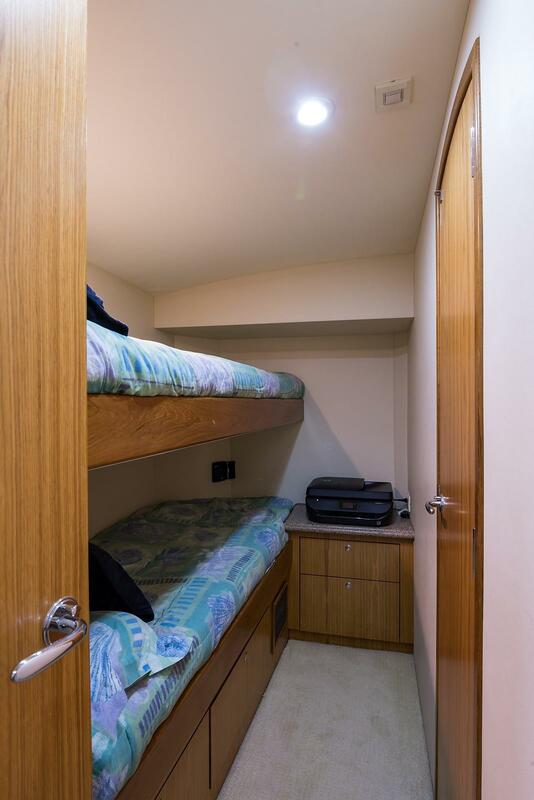 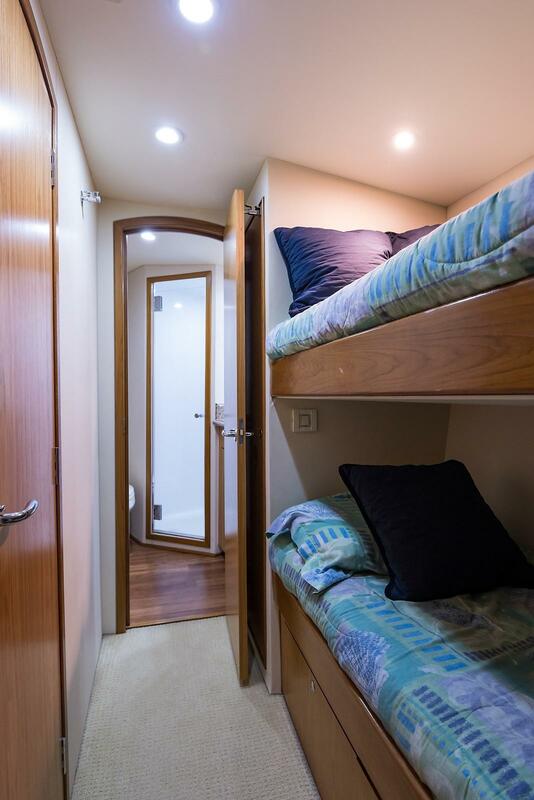 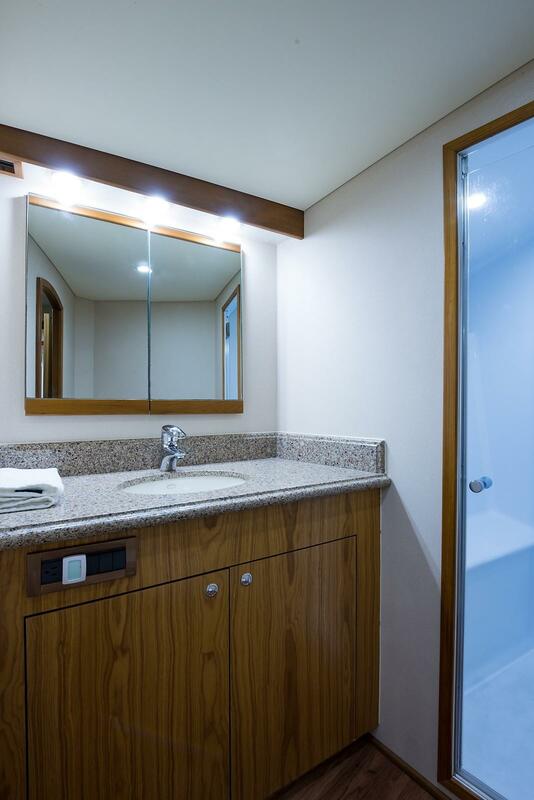 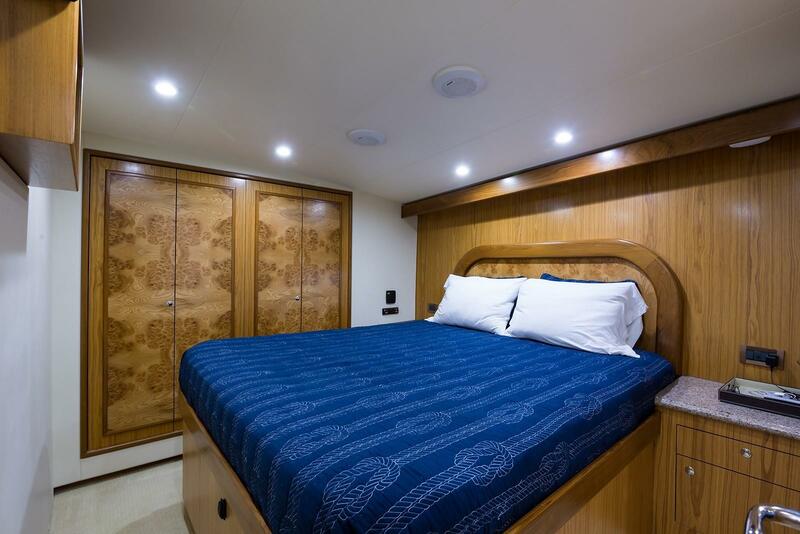 DESPERADO provides its owners and guests with three staterooms, two heads. 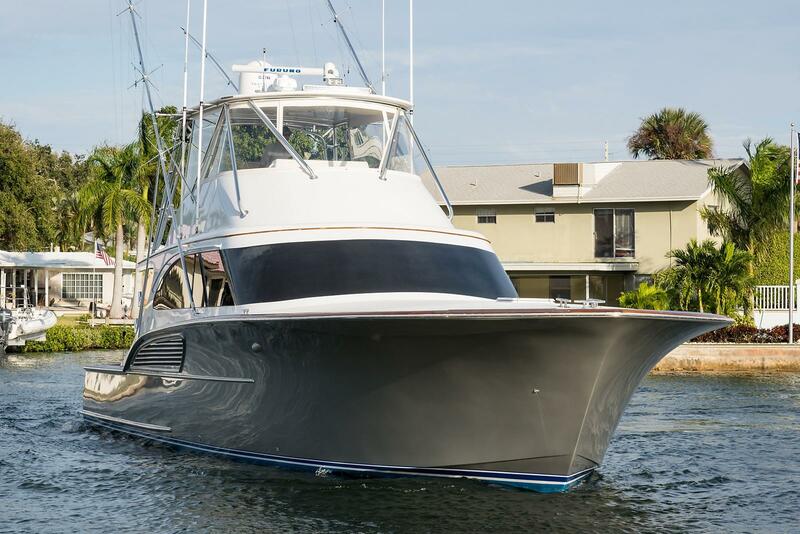 The owner has spared no expense to make her stand out in her class including custom painted hull and upgraded interior. 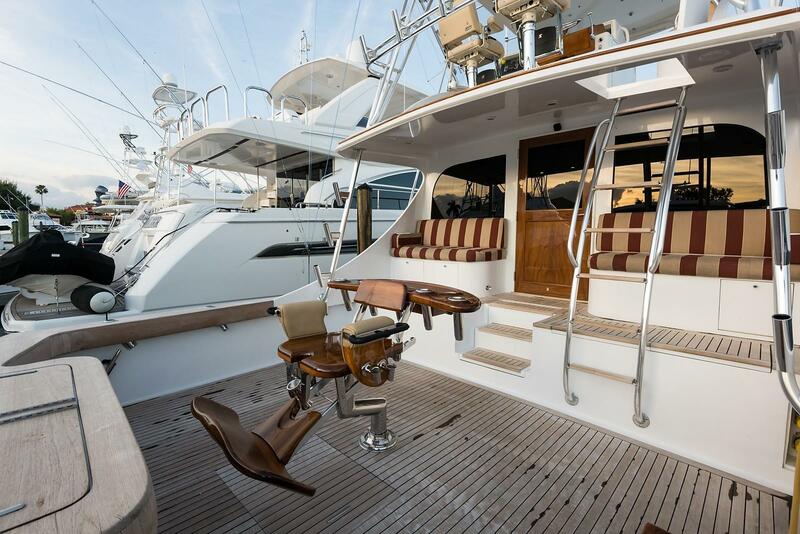 Large and airy, the salon is designed for relaxing and entertaining. 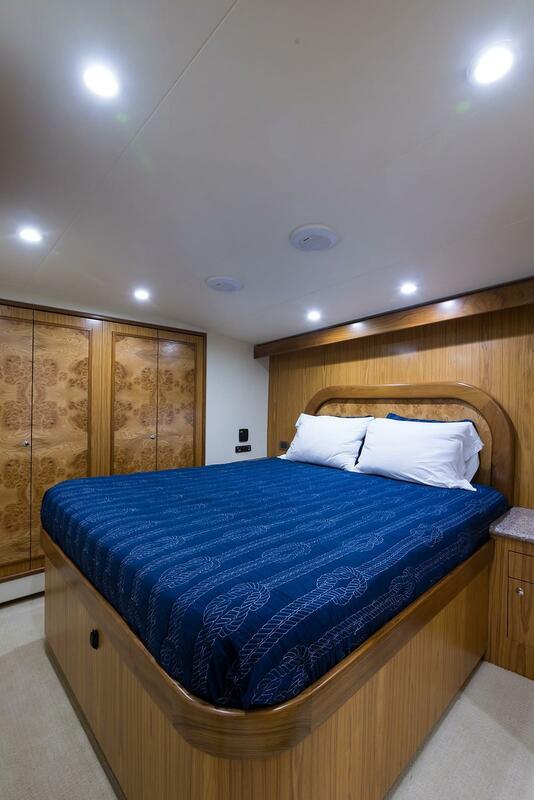 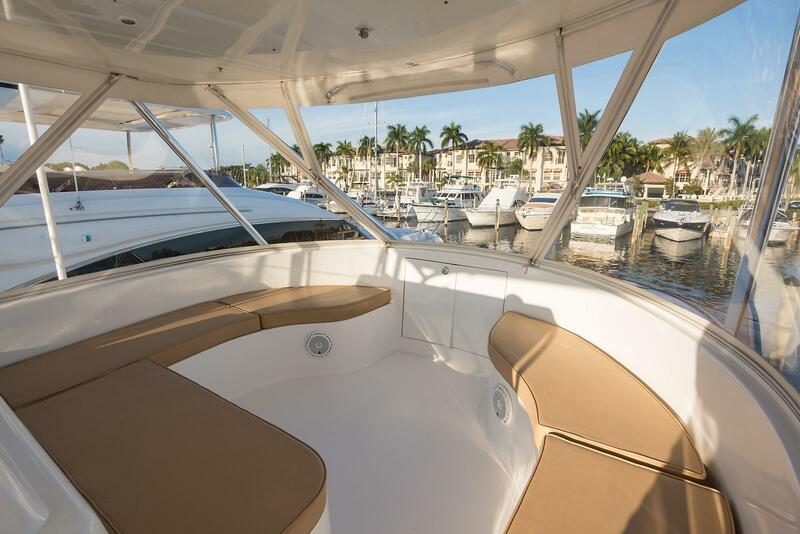 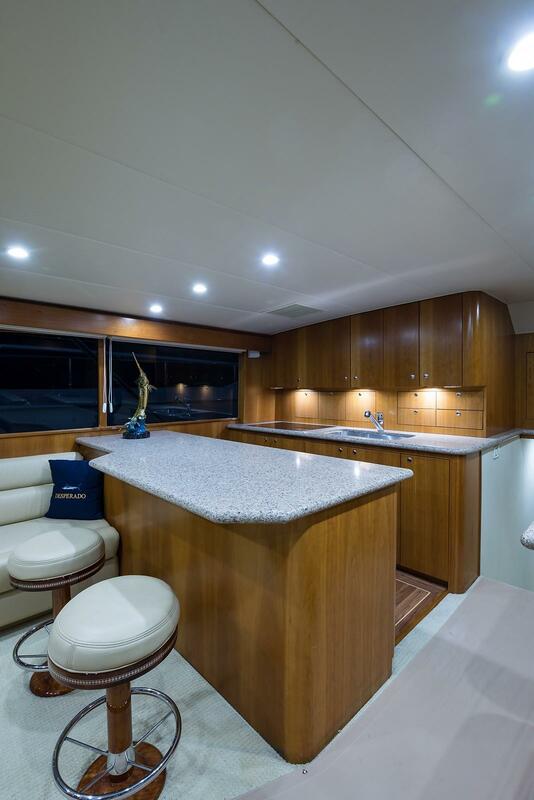 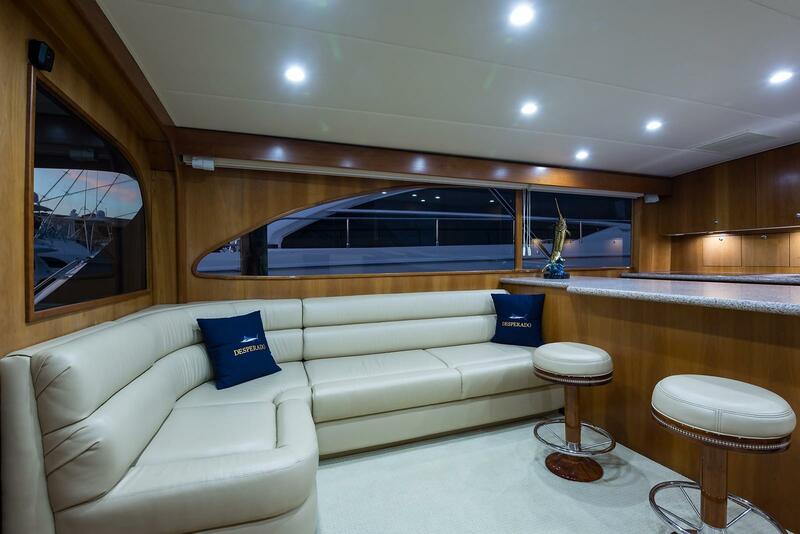 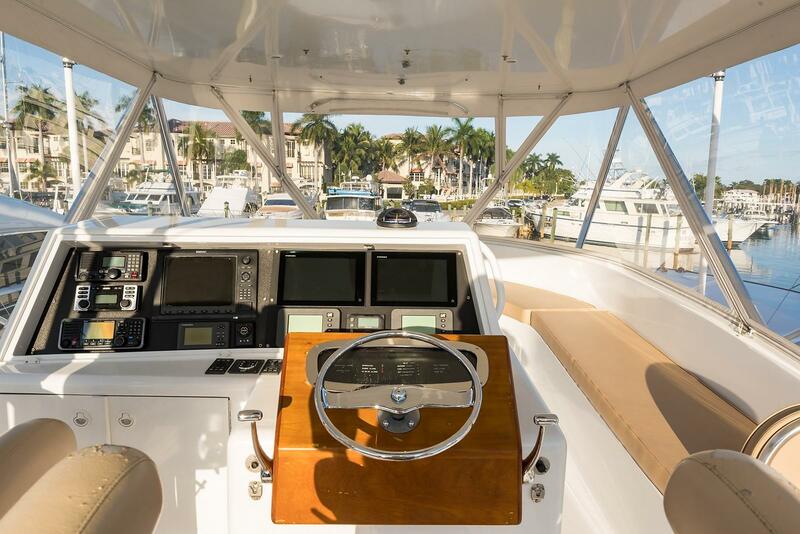 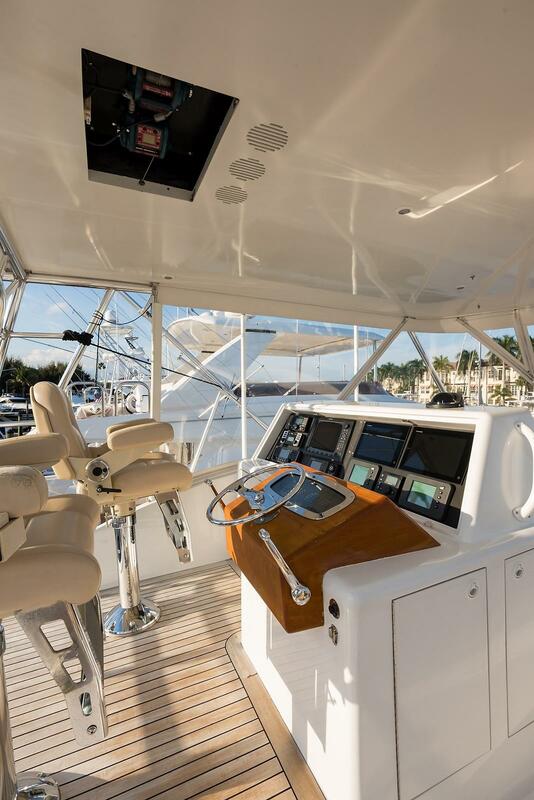 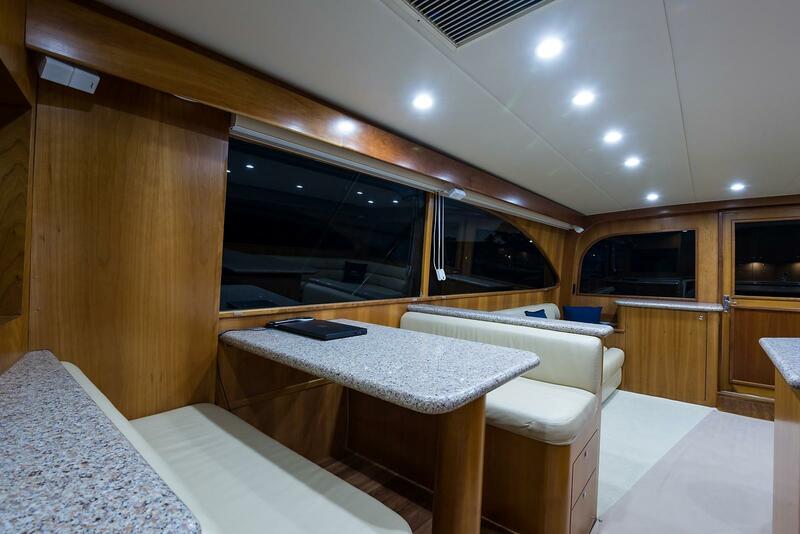 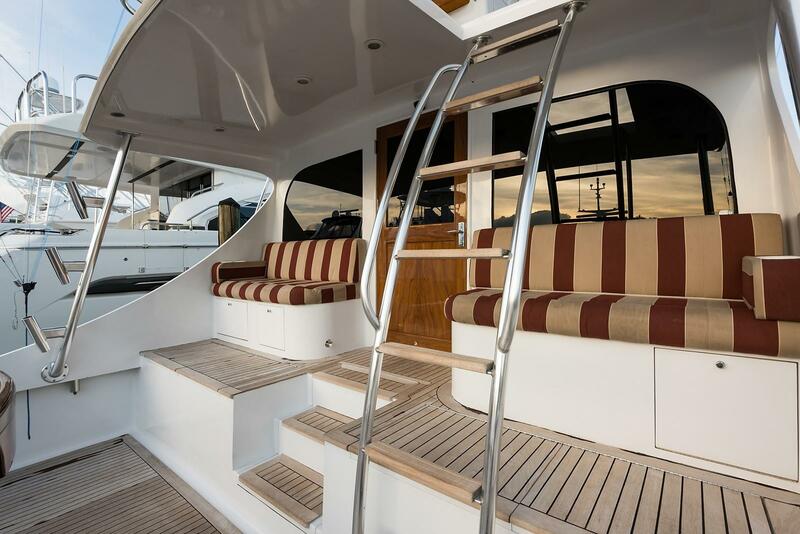 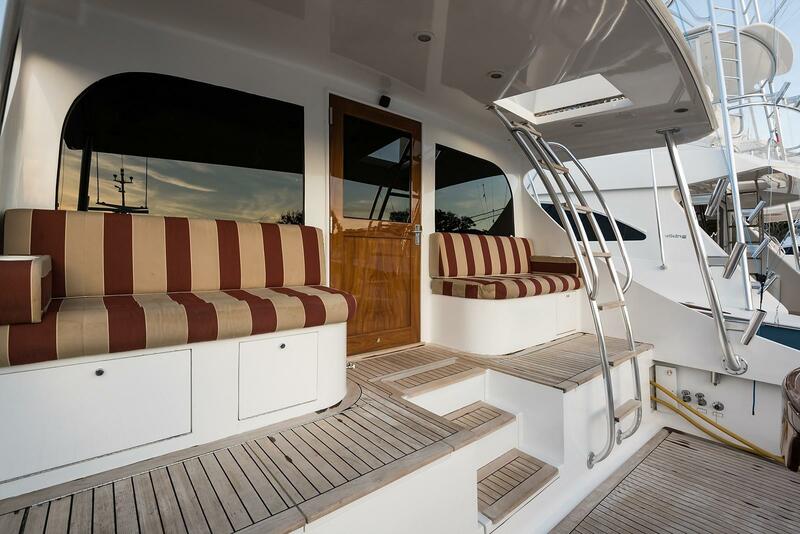 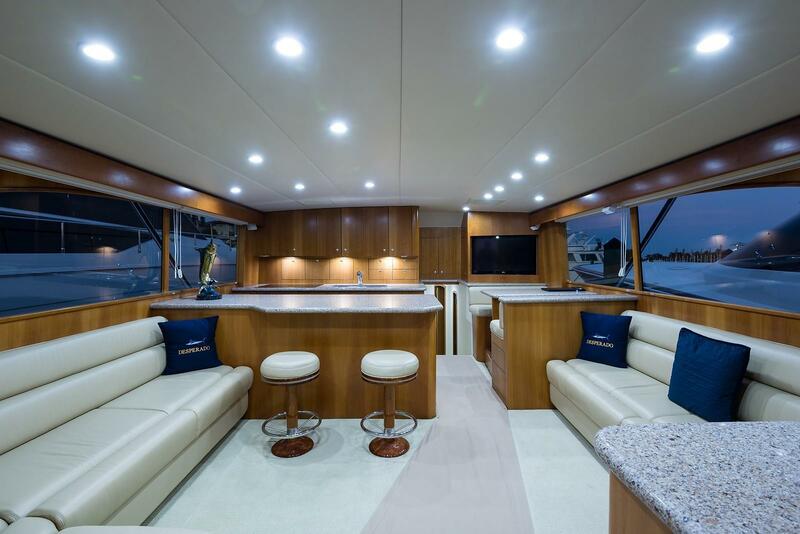 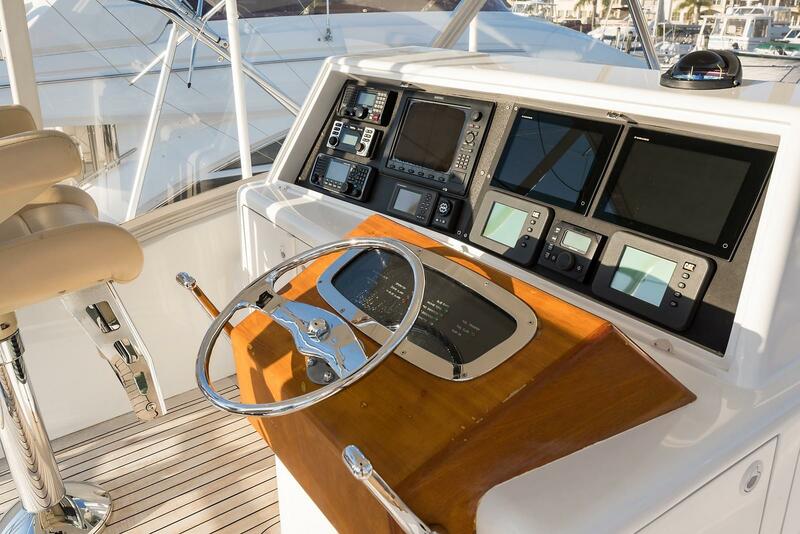 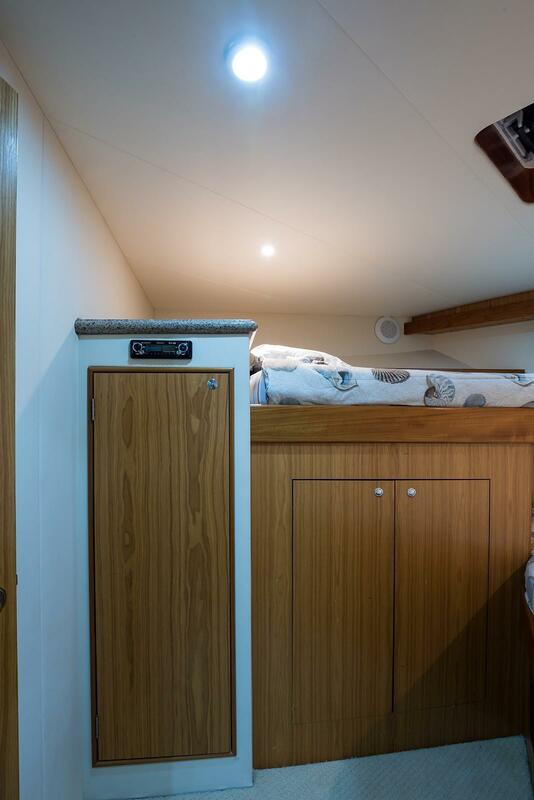 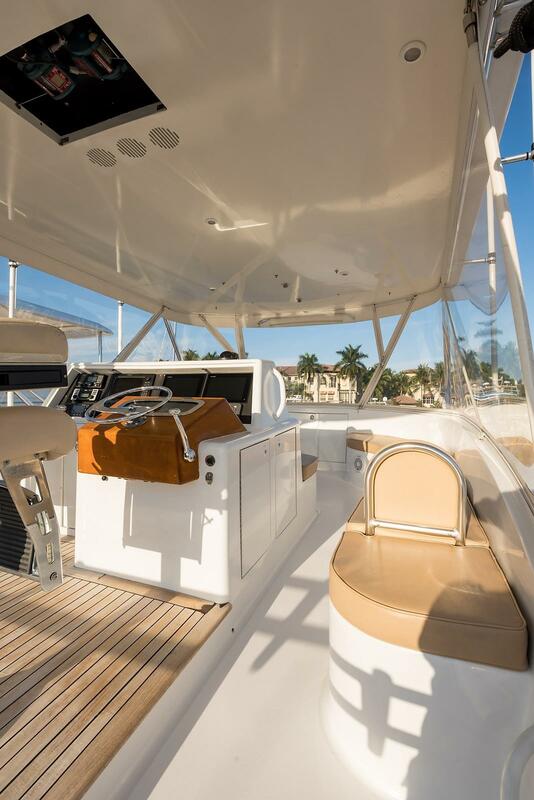 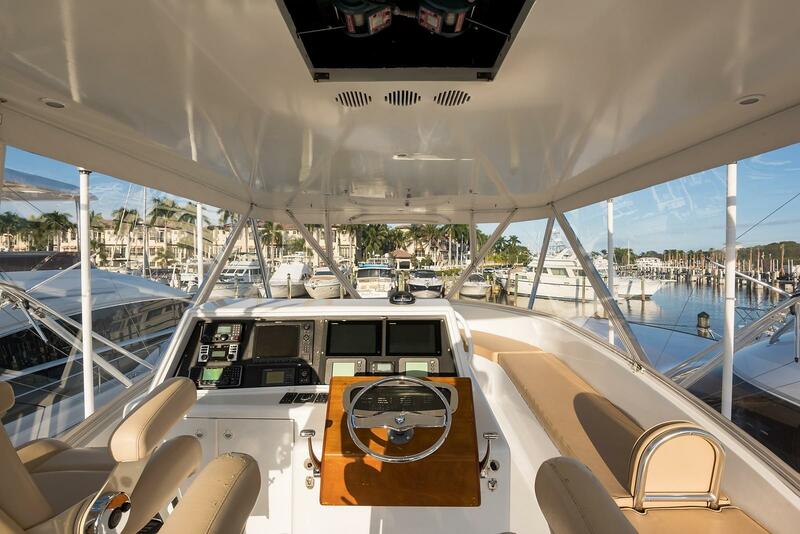 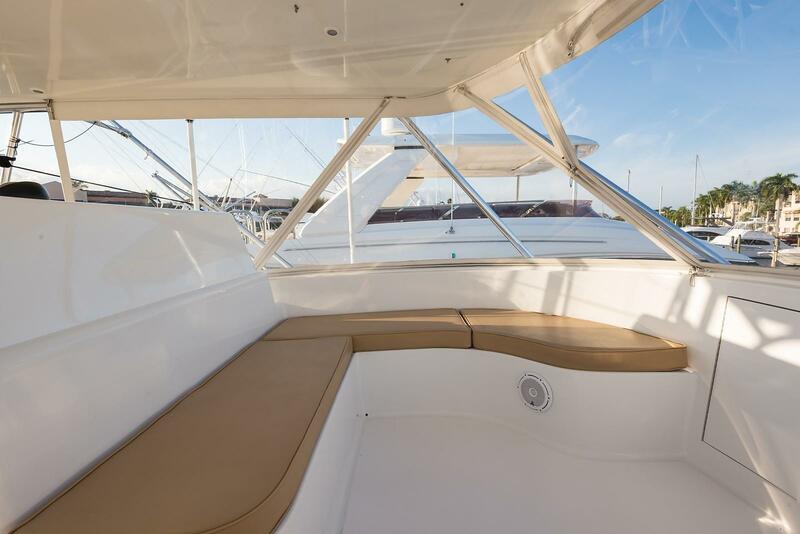 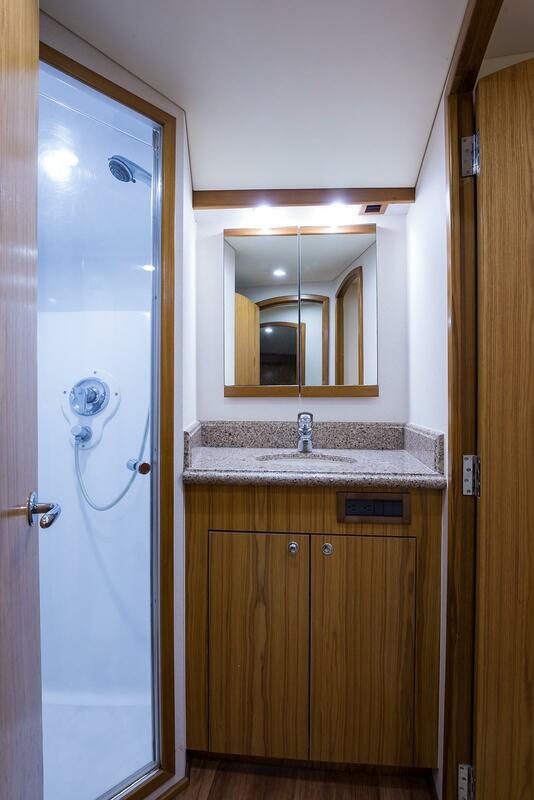 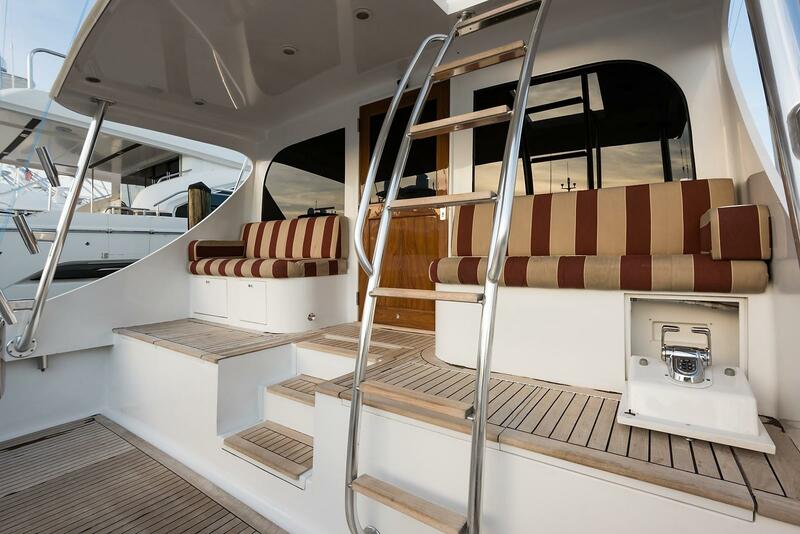 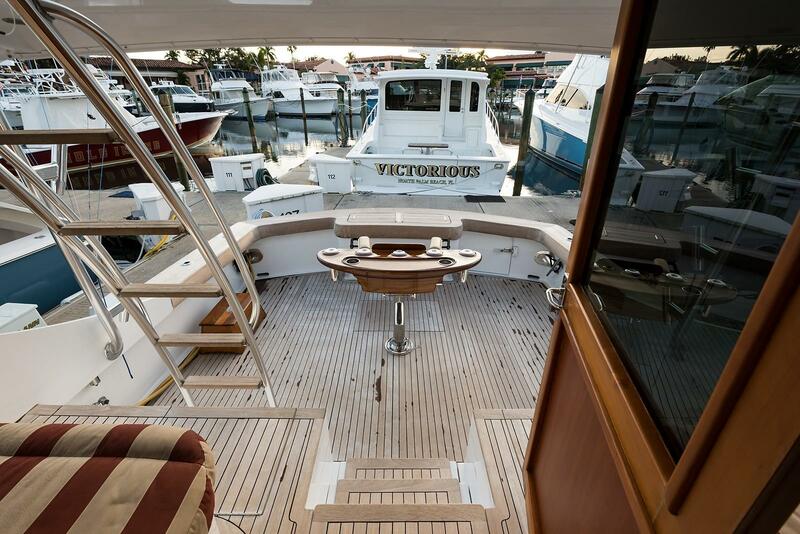 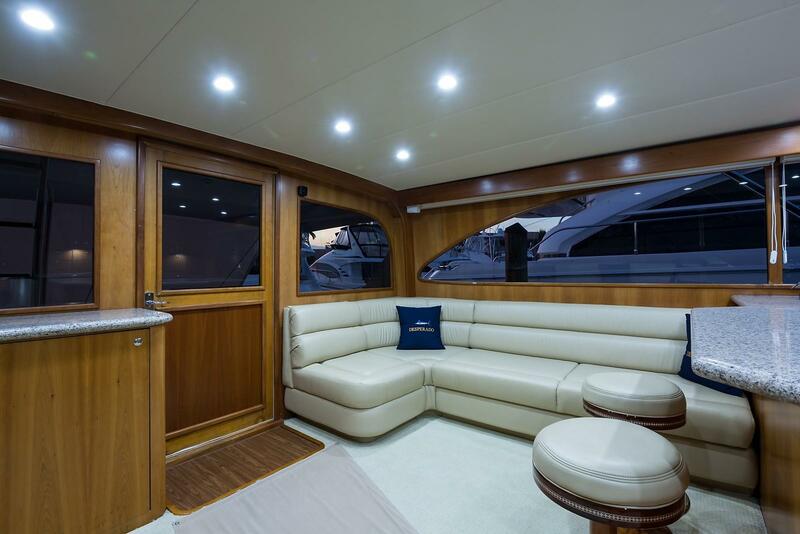 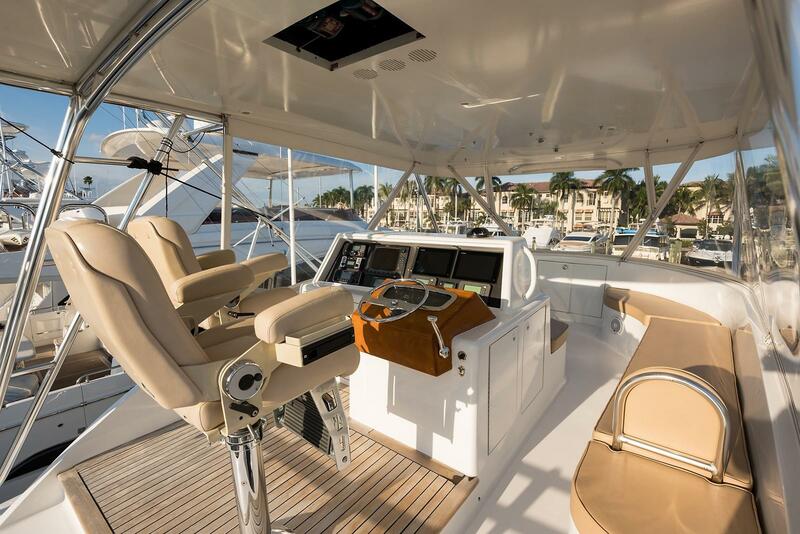 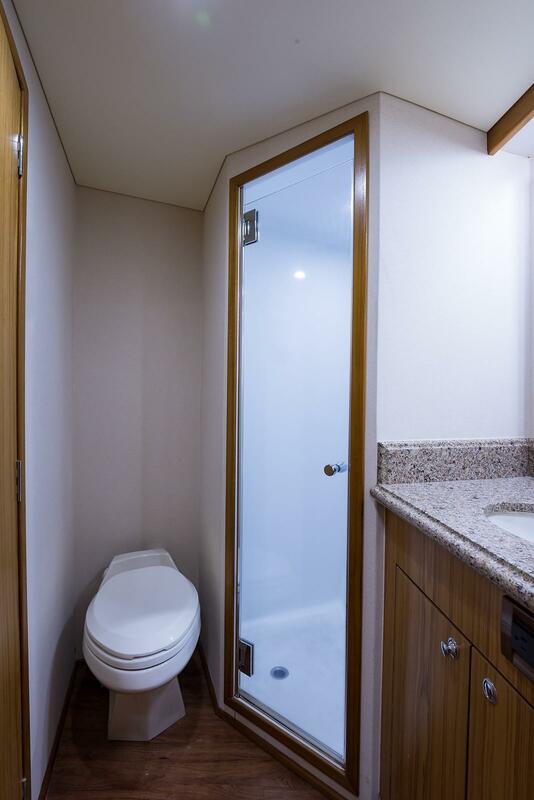 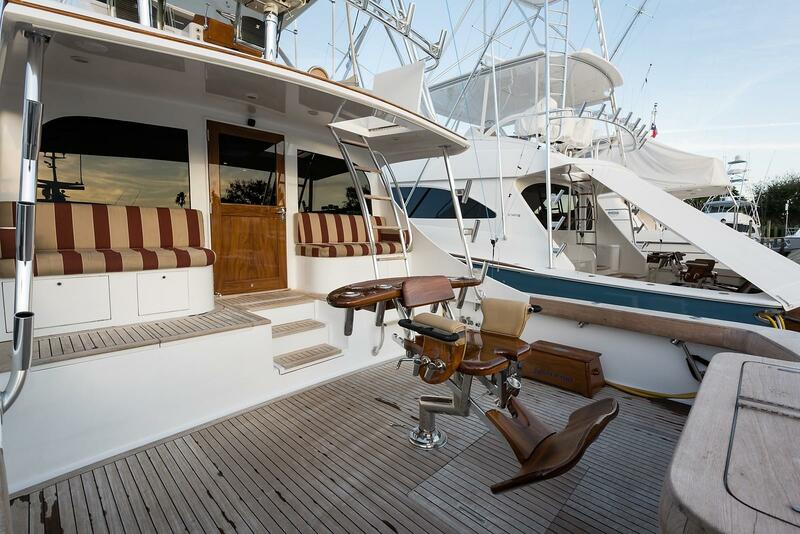 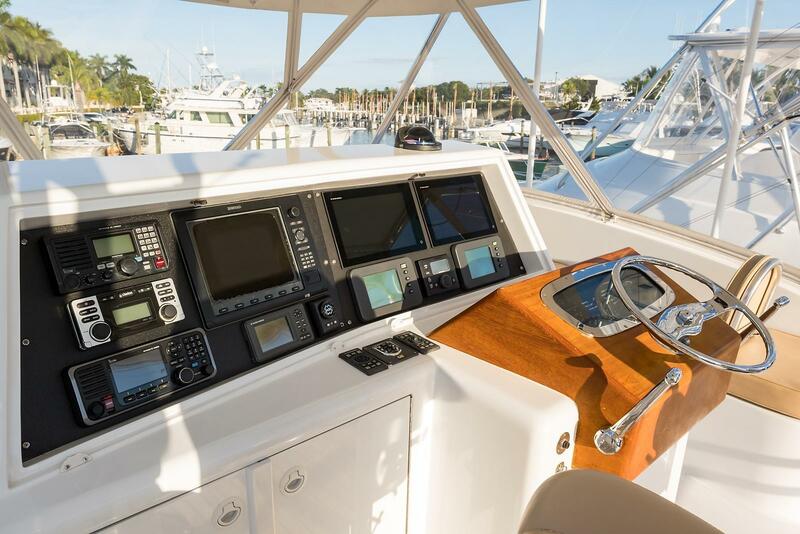 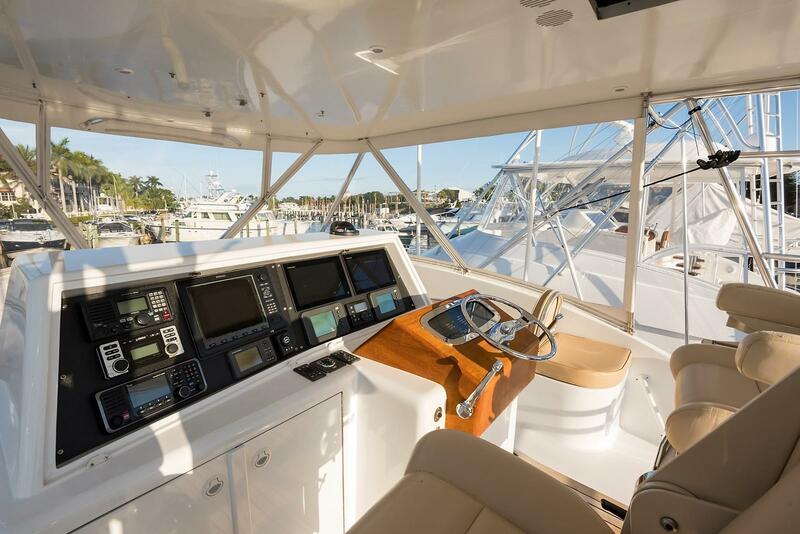 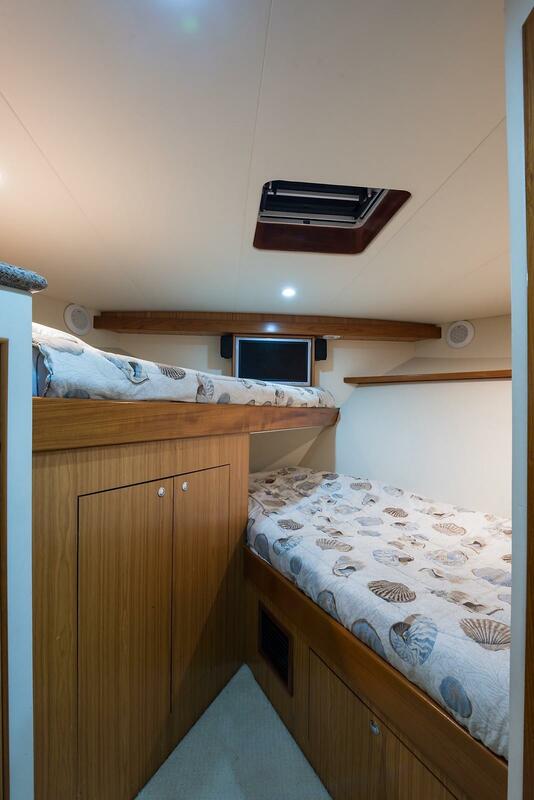 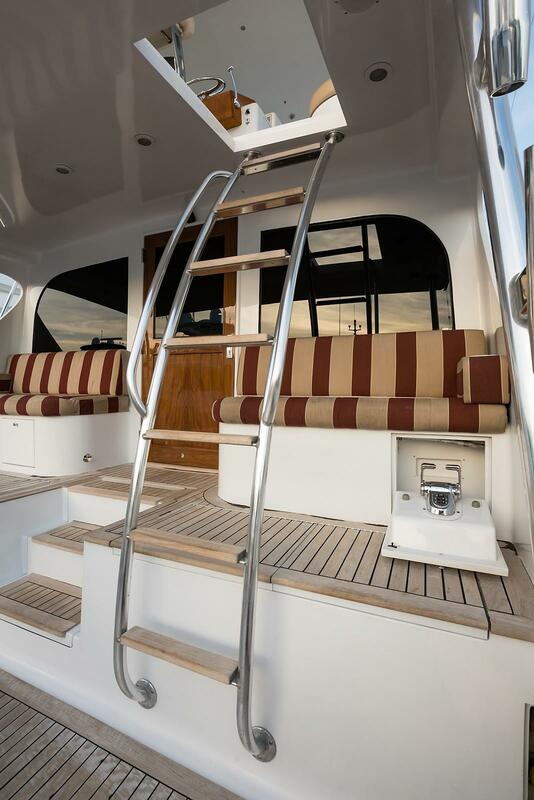 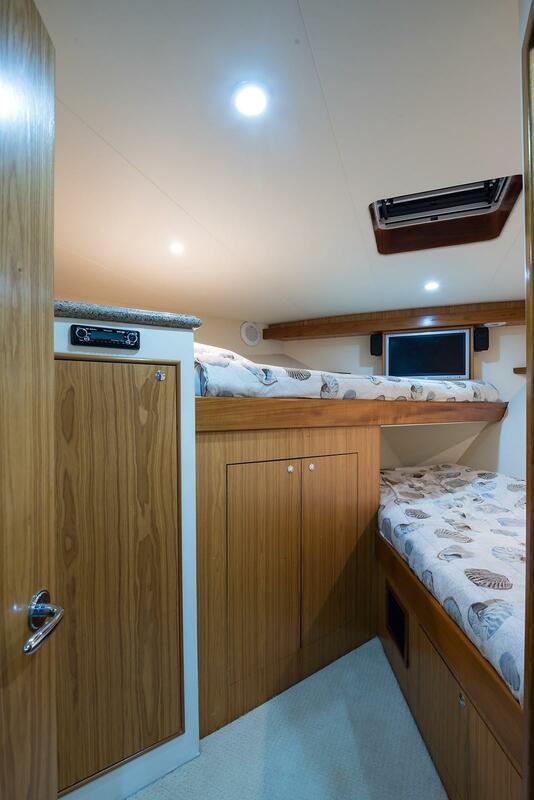 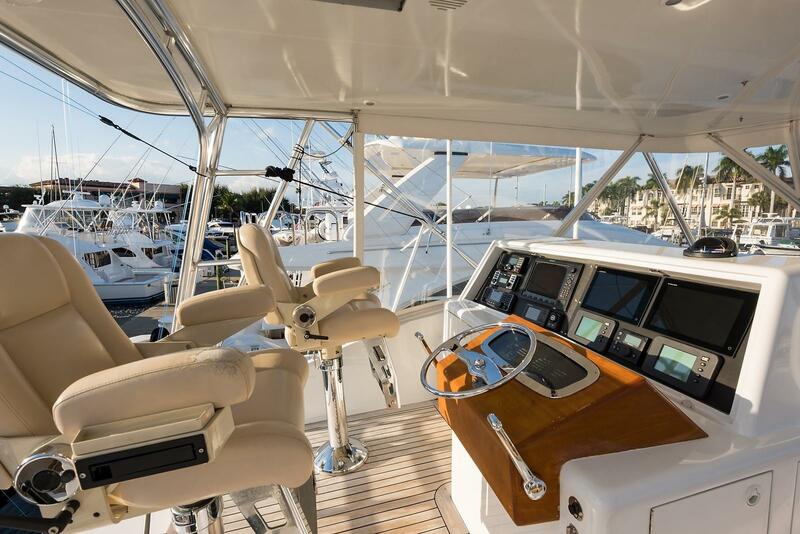 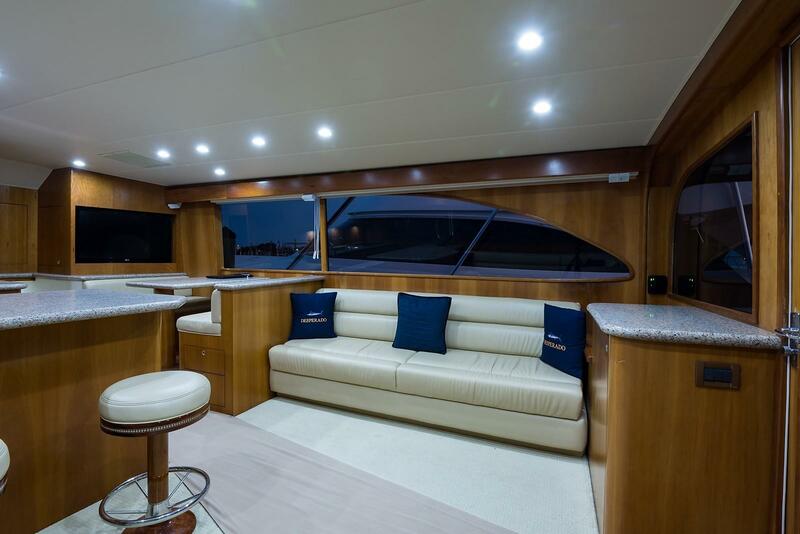 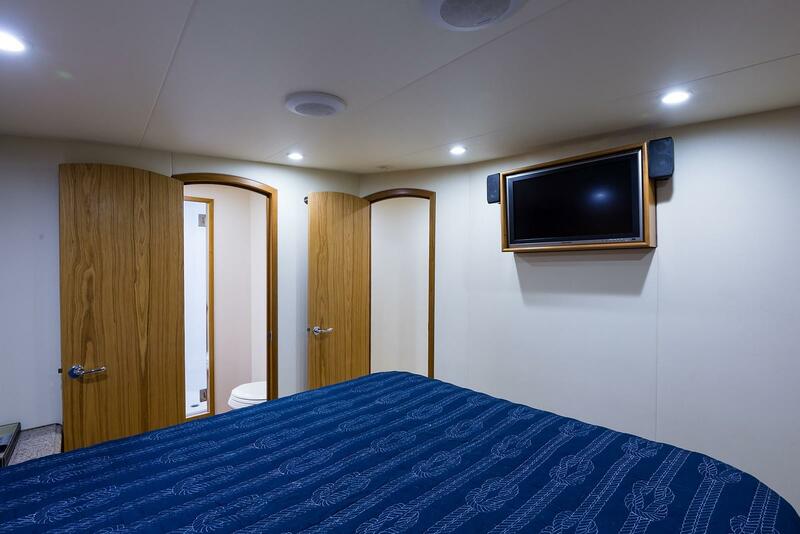 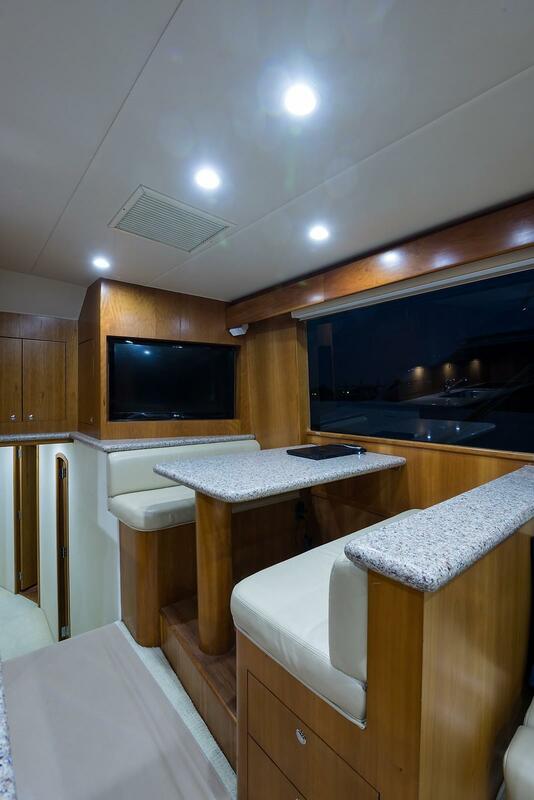 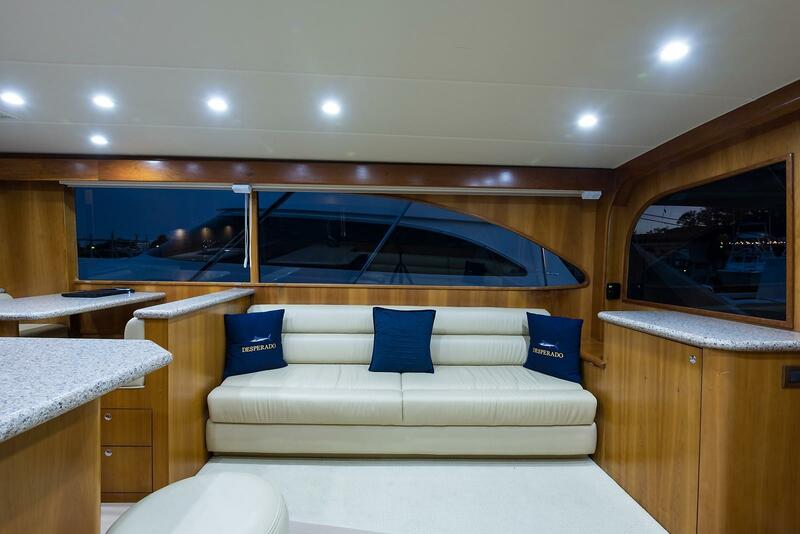 It features two comfortable custom ultra-leather settees with built in sealed storage and view of the full galley and dinette located forward. 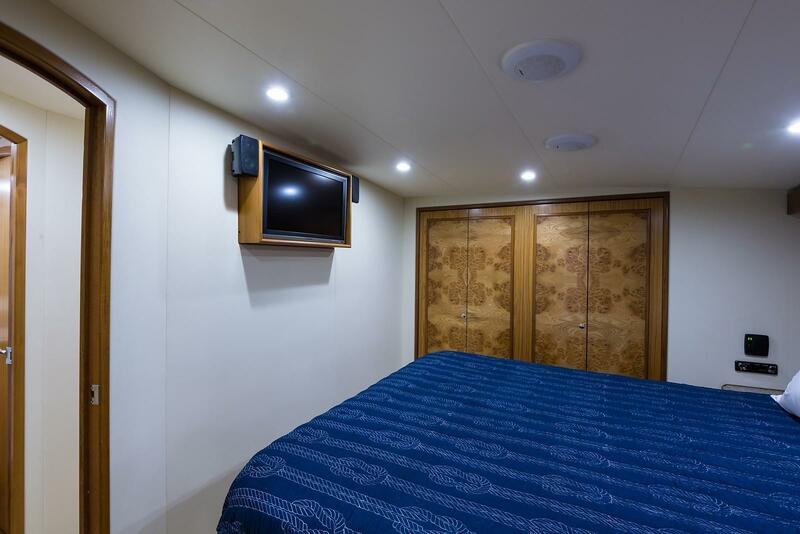 A large flat screen TV with A/V system and Satellite hookup will let you enjoy all your favorites where ever you are in your travels. 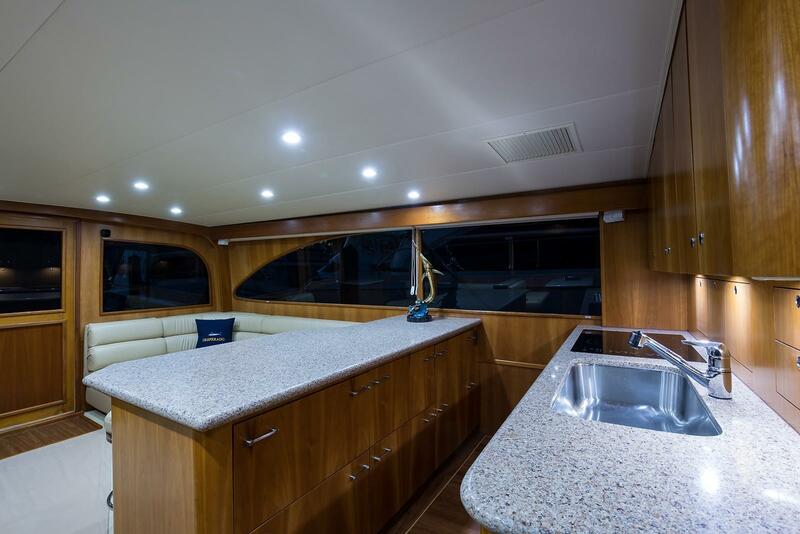 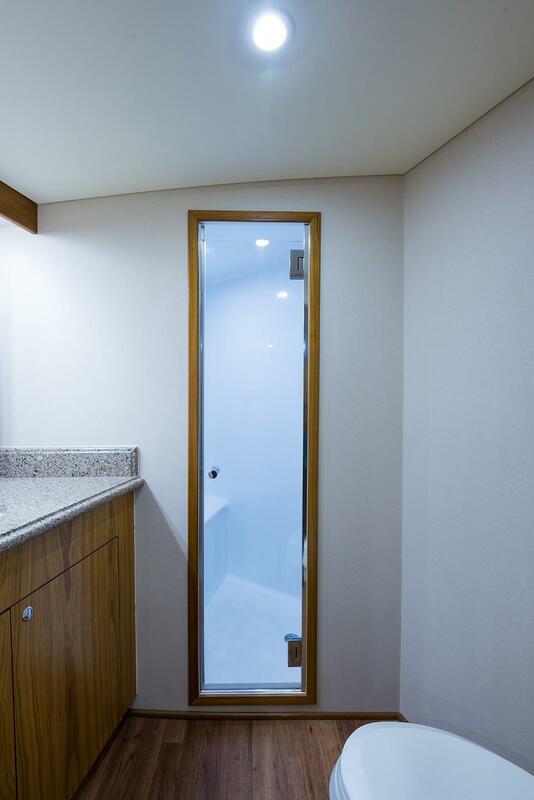 Located forward port side, with breakfast bar dividing it from salon. 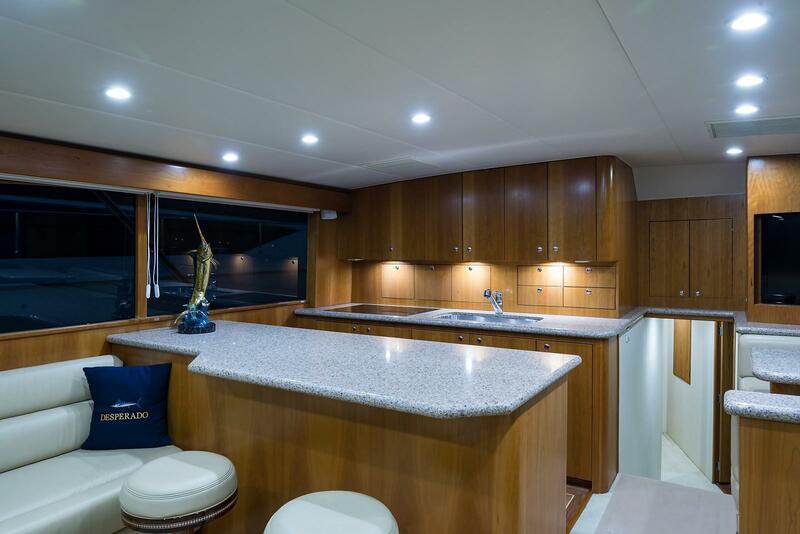 Dinette is located opposite of galley. 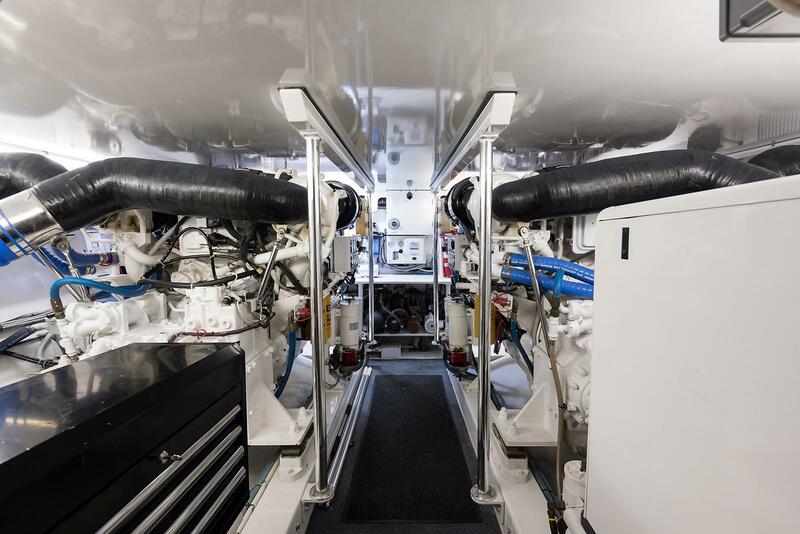 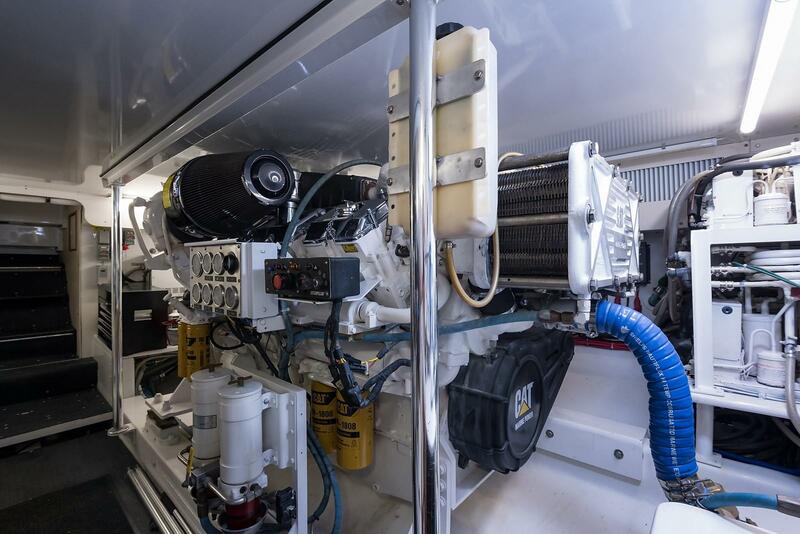 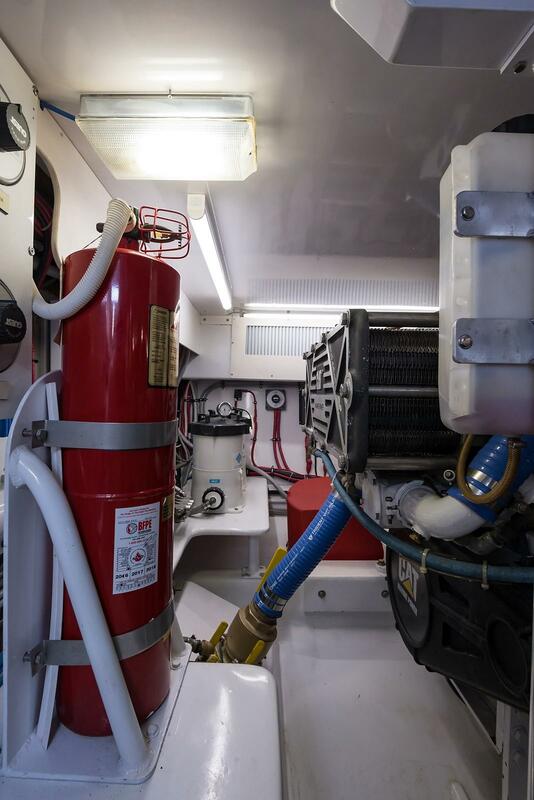 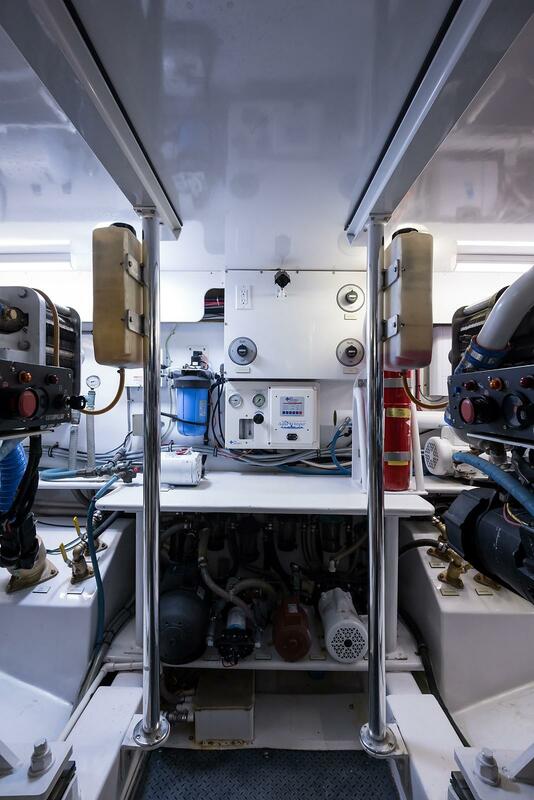 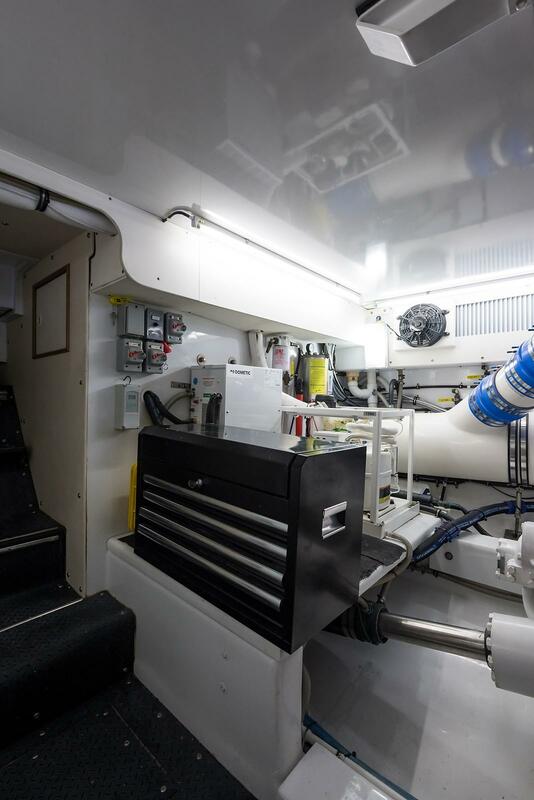 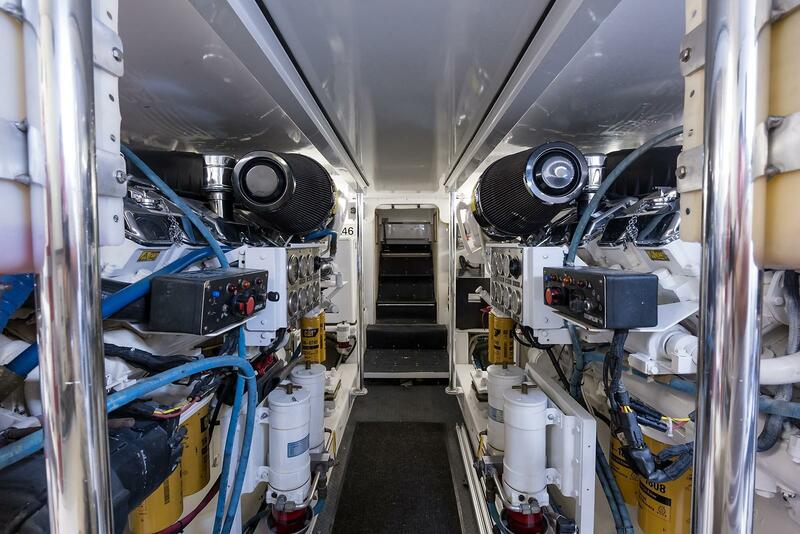 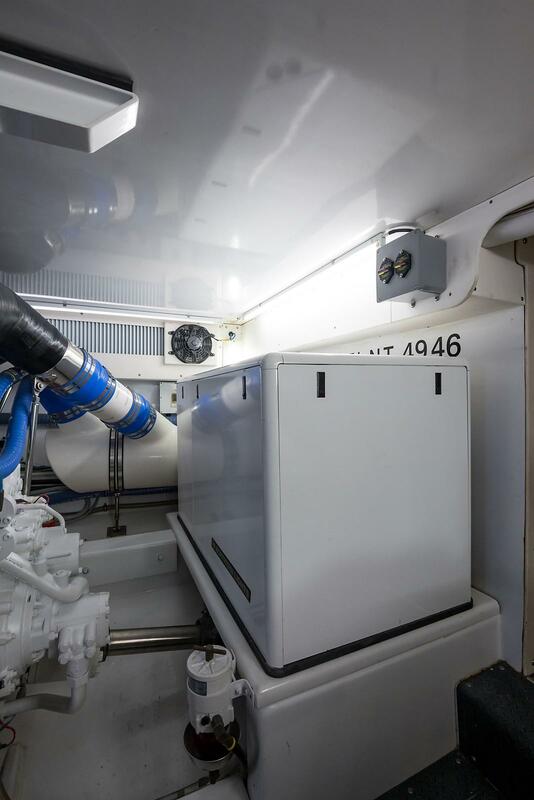 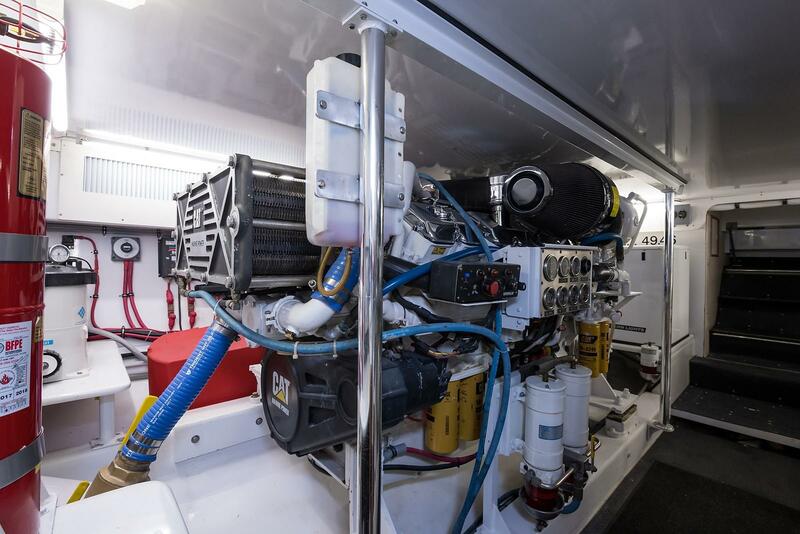 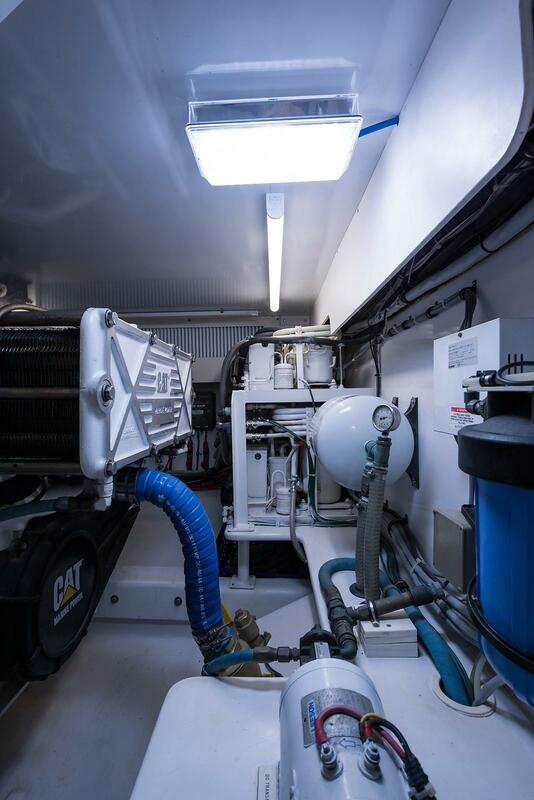 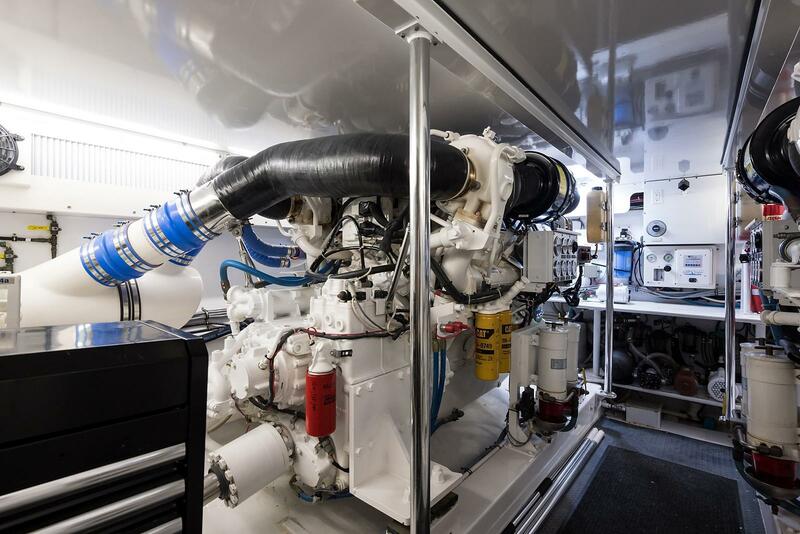 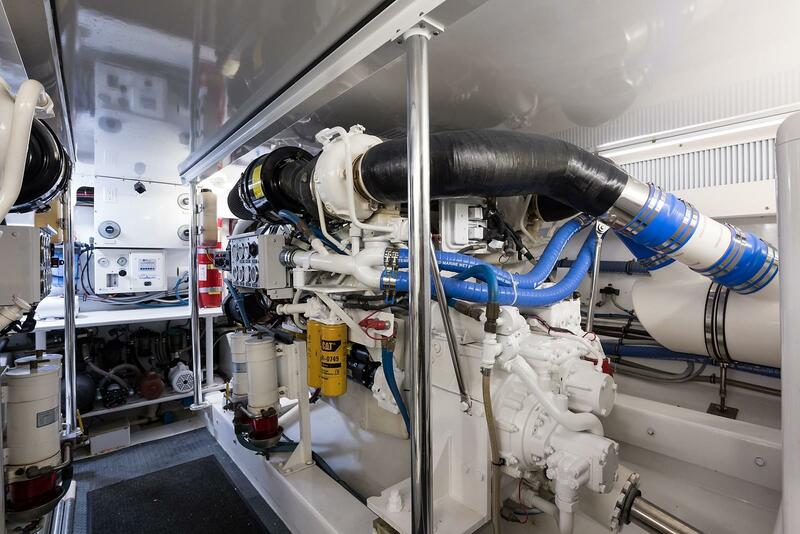 The engine room was designed by the owner and is set up so all the equipment is visually accessible to facilitate routine maintenance and inspection. 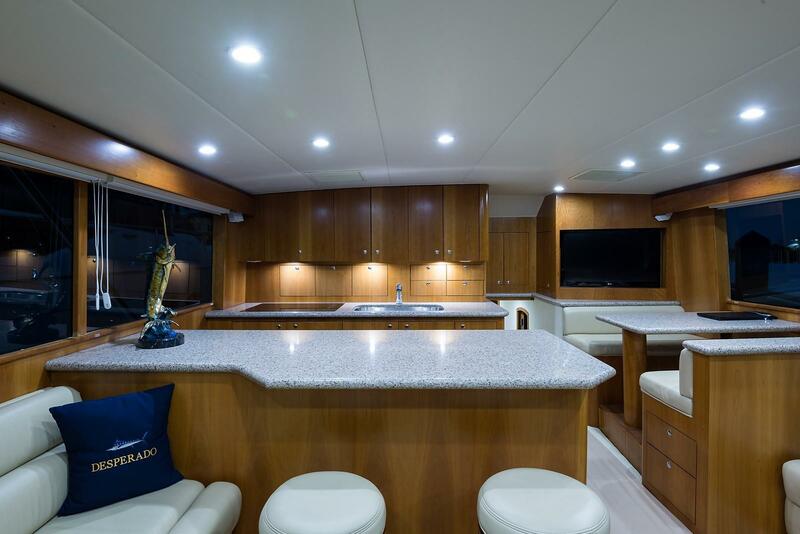 There is plenty of lighting throughout.